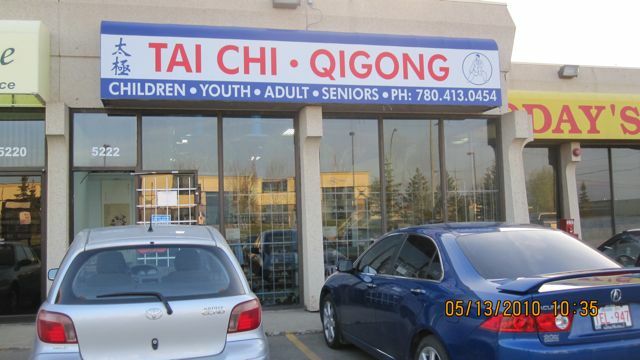 I have recently moved to Edmonton and am looking to start taking Tai chi. I have previous experience in chinese martial arts doing wushu (nanquan) for eight year is Saskatoon with Haven Seto’s school. Coach Seto recommended contacting Grandmaster Chen Zhonghua and provided me with this website. First I wanted to ensure I am contacting the correct school. Second if so, do you have fall open house I could attend or can I just come by and start classes at any time. Hello Jen – You have reached the correct school. We are having an Open House August 27 (Saturday) and 28 (Sunday) from 10 am to 1 pm. Come and take a free lesson with us. You can definitely start classes at any time – just arrive 10 minutes early to register. I want to know about Tai chi in detail. For e.g. what are styles, the levels or belts, how many years required to learn? I am now taekwondo ( 1st dan), but i always want to learn tai chi but unfortunately my knowledge is very limited about it. Your questions could take a while to answer fully, but I have to be brief. 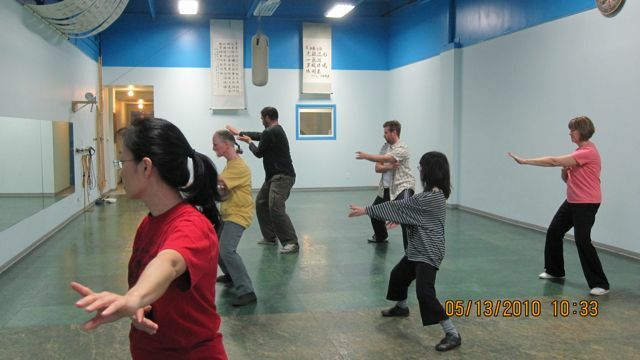 There are many Tai Chi (Taiji) styles – we teach Chen Practical Method and Chen Shi Xinyi Hunyuan Taijiquan learned directly from the most revered Chinese masters (Chen Fake, Hong Junsheng and Feng Zhiqiang) through our Grandmaster Chen Zhonghua. There are 9 levels, no belts. It takes many years to become proficient in properly taught Taiji as the body has to be retrained to separate all the joints to move independently. You can learn the moves of the form in a month to a year depending on time devoted to it, but the real work of learning and teaching comes after learning the form. The best idea is to try it at our Edmonton Studio and see what it is really like and view all the information we have on http://www.practicalmethod.com to see the actual potential of correct Taiji. namaste sir,i want to learn tai chi.i lives in s.india,chennai.can you recomment sombody? I am sorry, I know of no Taiji instructor in India affiliated with our school – perhaps a possible session in Daqingshan, China which is not so far away from India? Hi, I am a Mosotho male who wants to learn more about Taiji could you please send me some more detailed information about this sport. Thank you. Hello Teboho – Taiji is an activity for life that restructures your body to be able to do extraordinary things for self defense without using the usual muscle power of other traditional martial arts . It is also a way of keeping fit and healthy. Chen Taiji is what we teach in Practical Method and the Hunyuan styles passed directly to us through Grandmaster Chen Zhonghua and his teachers – Hong Junsheng and Feng Zhiqiang who learned from the famous Chen Fake, the most revered Chinese Martial Artist from 1928 until his death in 1958. We teach from the true lineage of Chen Taiji – the first Taiji that other styles eventually derived their forms and ideas from. Taiji is also the hardest martial art to master as it takes a long time to train the body to respond as needed, but that is also its beauty as there is never a finishing point to learning – you always can increase your knowledge and skills as long as you live while you stick to the correct principles and training. You are training your mind and your body for a complete experience and life choice.